As the only licensed horizontal launch commercial spaceport on the East Coast, Cecil Spaceport is the premier location for your business to lift off. At Cecil, you‘re provided access to unparalleled aerospace infrastructure located in one of the best metropolitan areas in the Southeastern United States. A superior logistics network and business-friendly environment make Jacksonville, Florida, the perfect place to launch your space business. A low cost of living, coupled with a high quality of life, doesn’t hurt either. • Business-friendly city in a rapidly growing region attuned to commercial and industrial development which was called the “best city for logistics infrastructure” by Global Trade in 2014. We want to see you here! If you have any questions or would like more information on Cecil Spaceport, please contact Todd Lindner at todd.lindner@cecilairport.com or Justin Fletcher at Justin.fletcher@cecilairport.com. • Space Florida is the state’s aerospace economic development agency and is responsible for fostering the growth and development of a sustainable and world-leading space industry in Florida. Feel free to visit their website or call them at (321)-730-5301. • The JAXUSA Partnership is Jacksonville and Northeast Florida’s regional economic development initiative. 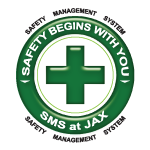 To learn more about our area or speak with someone about opportunities available for your company, please visit their website or call a JAXUSA Program Manager at (904)-366-6652. • Enterprise Florida, Inc. (EFI) is a public-private partnership between Florida’s business and government leaders and is the principal economic development organization for the state of Florida. EFI’s mission is to expand and diversify the state’s economy through job creation. Please visit EFI’s website or call Cecily Lavender, Business Development Associate, at (407)-956-5622 for more information. delivering people, goods, and/or small satellites into a suborbital or orbital trajectory.